After watching the Ted Talk video of Chimamanda’s “Dangers of a Single Story”, I have since been careful not to make a ‘single story’ mistake. When you travel to foreign places on your own, you’re responsible for yourself; but when part of a delegation, in a way, other people are responsible for you. So they try to prepare you. About Russia, I was informed, nay advised, that racism was a possibility and tasked on restraint, calmness, friendliness… don’t stray too far from the group, and be careful with their women. Russia could have been racist throughout its history, or at every other time of the year, but not this particular June. As for what it is… it is the haven of some of the most breathtaking pieces of architecture and civil engineering construction on earth. So many buildings here are breathtaking. Monuments. Most fascinating is how they blend human creativity with Nature’s effortless, boundless beauty. Trees, flowers, rivers, parks and gardens. Talk about serenity. But what about the people? In the eyes of the Russians, you see a people yearning for integration with the world. And why not?! What would be the point of all this beauty if there is no one to share it with! If visitors never came! The Russians wish so much that they can speak English, and they hope and pray that you can manage some Russian yourself. Plausibly, almost every Nigerian that has been here for over a year speaks fluently. Back in Nigeria, I thought the media was ‘over-hyping’ the beauty of our World Cup 2018 jersey. We tend to take trends too far, you know; not knowing when to stop. How wrong I was! When Nigerian fans stepped out into Russian city streets wearing this awesome Nike design, like instant noodles, we all turned into instant celebrities. Everyone wanted a picture with Nigerian fans. Everyone wanted a jersey swap. But for the cost of this jersey, mine would have been long swapped, and I’d end up with one lightweight “t-shirt” from Poland or Belgium. No offence. I felt great pity for the Super Eagles. They were certainly overwhelmed by the sea of red-and-white. From up in the stands the handful of us could see our Mikel, Musa, Moses… but from the pitch where they chased down every ball, I doubt they could spot us. Over 80% of the fans in the stadium were vociferously rooting for the Croats. We were less than 10%, and here is an explanation. Firstly, it is not easy to travel to Europe from Nigeria considering the value of our Naira and the distance one has to travel. 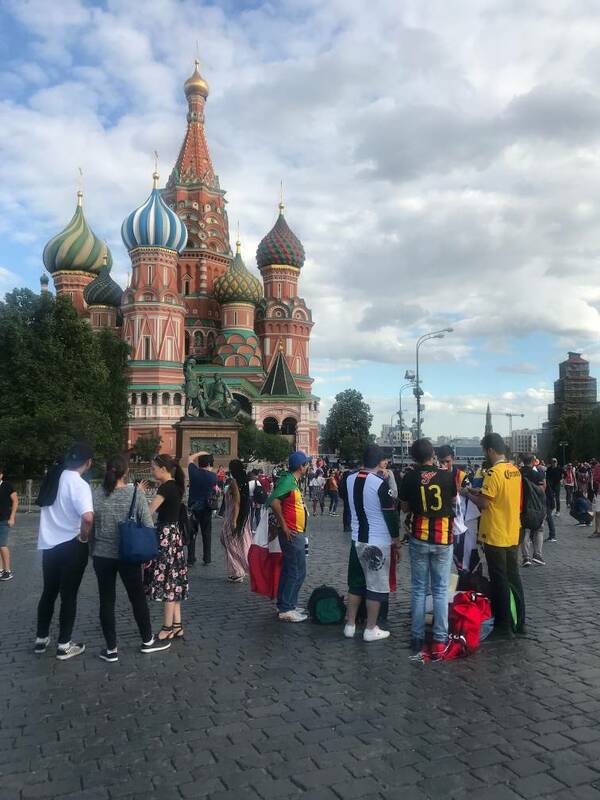 For the fans already in Moscow, it was yet difficult to travel to Kaliningrad by train – which many had planned. To get to Kaliningrad from Moscow by train, you would go through Lithuania and Belarus (because Kaliningrad is not actually ‘inside’ the borders of Russia) – for which you must have a Schengen visa. This information alone is not one fans readily had. When they got it, it was too late to go about sourcing necessary logistics. Only those who could travel by the limited flights available made it to Kaliningrad. But make no mistake about it, the hapless 10% of a full Kaliningrad stadium made their presence felt. That was us. We came to Russia to create a vigorous presence for Nigeria; to show the beauty of the most populous Black Nation on earth. We came to subtly show the world why we are the ‘Giant of Africa’; to teach the world how to chill, how to celebrate, how to interact. I thought it was an over-ambitious mission, unsure of what Russia has that we don’t. But now I realize that anyone can sketch fine structures, erect fine buildings, create beautiful streets… their best foot forward. Our best foot is us. Who can create a people so eager to love, so easy to please; so ready to celebrate and so quick to demolish lines of division in the process? We were right to come here, and our mission is in order after all. Just when the defeat to Croatia seemed to ruin our plans, Ahmed Musa’s strikes and the performance of the team, in general, lifted our spirits ever so high. 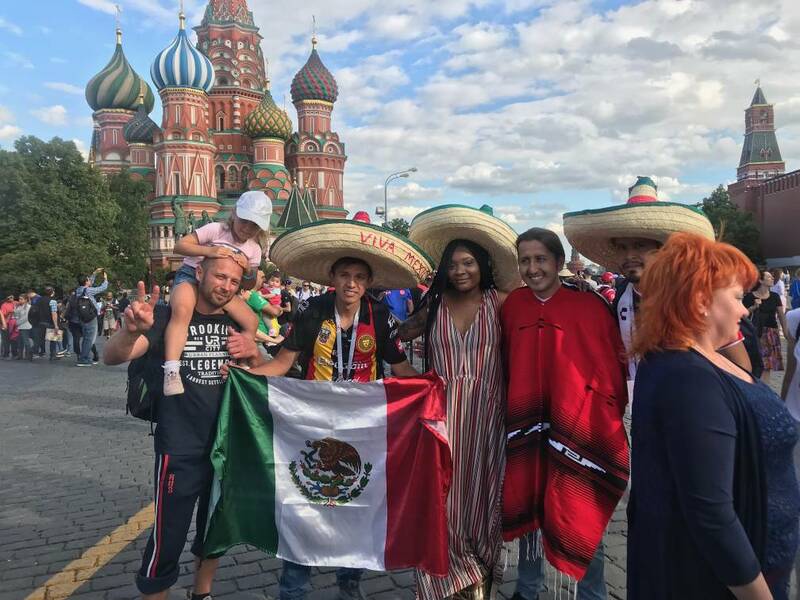 The Russian team had won 5 – 0 on the opening day, and won again… but our 2 – 0 victory over Iceland, which came after the defeat to Croatia reverberated louder across the planet. Not because our dreams are small in comparison, but because the football Mondial itself is about happiness and the celebration of global brotherhood. Now, with the help of the project coordinator of the Nigerian House in Moscow, Mohammed Baba Abdullahi, we have secured a date to “set Russia’s roof on green fire”. In the very centre of Moscow – Red Square – from 4:30pm on Monday, 25th June, till “mama calls”, it will be everything the Nigerian way. And my own signature performance… Nigeria will hear of it! Then we’ll head to St. Petersburg by dawn to cheer the Super Eagles to victory against Argentina – a tricky prospect, given the bashing the Albiceleste have received so far, and the expectation that they would, at the very least, try hard to make a statement. Nigerians at home can dare to hope: a green multitude is making its way there. After Monday the party in Russia will begin to thin out. On footballing terms, some people would go home sad – unmet expectations and all. There are those whose dreams came true with qualification alone – like Panama – their joy cannot be fazed by elimination at the group stages. What is more, their oldest player got their first and only World Cup goal – a genuine accomplishment. For Argentina and Messi, if they leave at our expense, the feeling won’t be the same. Anyway, as contingents begin to depart soon, I can say I have taken in true beauty. I can now look past a stern-faced Putin on CNN to the sweet people of Russia who loved the world when it visited. And to others… women, men and children from all corners of the earth drawn to converge here by football. I have seen nations whose confidence rest on teams, and some whose rest on individuals. And we’ll be seeing just how far individuals can carry nations. Russia has afforded me a good view of the world, but, most importantly, it has given me a vantage view of my Nigeria. It showed me how, like simple children’s, our emotions oscillate from disappointment to monumental pleasure every now and then, and how the former, whenever it occurs, awakens our penchant to hope and have faith. I’m enjoying this global showpiece, but I am also looking forward to going back home to family and friends. It has taken me this trip to realize that the abstract but enchanting architecture of communal humanity flaws man’s prettiest monuments. By this index, Nigerians are doubly blest: we can travel the world and enjoy man’s most gorgeous works; still, we’re Nigerians, a people so uniquely knitted that we can pass for God’s own masterpiece. Being Nigerian is a gift, and what a gift!